The FCC adopted a first report and order today that makes available 21.2 gigahertz of spectrum for unlicensed use above 95 gigahertz and establishes a new class of experimental licenses for frequencies between 95 GHz and 3 terahertz. “This spectrum has long been considered the outermost horizon of the usable spectrum range, but rapid advancements in radio technology have made these bands especially ripe for new development,” the Commission noted in a news release on the item, which was adopted in ET docket 18-21. “There are substantial opportunities for innovation in these frequencies, especially for data-intensive high-bandwidth applications as well as imaging and sensing operations. Prior to this decision, the Commission had no rules for authorizing communications above 95 GHz, other than by amateur operators or through experiments of limited duration and scope. “To enable innovators and entrepreneurs to most readily access this spectrum, the Spectrum Horizons First Report and Order creates a new category of experimental licenses for use of frequencies between 95 GHz and 3 THz. These licenses will give innovators the flexibility to conduct experiments lasting up to 10 years, and to more easily market equipment during the experimental period,” the news release added. “The item also makes a total of 21.2 gigahertz of spectrum available for use by unlicensed devices. The Commission selected bands with propagation characteristics that will permit large numbers of unlicensed devices to use the spectrum, while limiting the potential for interference to existing governmental and scientific operations in the above-95 GHz bands, such as space research and atmospheric sensing,” the FCC said. The bands are the 116-123 GHz, 174.8-182 GHz, 185-190 GHz, and 244-246 GHz bands. In a notice of proposed rulemaking adopted last year in the proceeding, the FCC sought comments on rules to make spectrum above 95 GHz available on a licensed, unlicensed, and greater experimental basis (TR Daily, Feb. 22, 2018). In response to the NPRM, terrestrial wireless and satellite entities disagreed on the rules. Meanwhile, unlicensed spectrum advocates asked that more spectrum be set aside for those uses and users of spectrum for scientific purposes warned about the potential for interference from unlicensed operations (TR Daily, May 3, 2018). In a presentation at today’s FCC meeting, Ted Rappaport, founder and director of NYU WIRELESS, a research center at New York University that focuses on wireless communications and applications, called today’s FCC action “historic,” citing the huge bandwidths of spectrum above 95 GHz and possible applications for drones, robotics, automated vehicles, and holographic imaging. He said that while it is a popular belief that there is greater spectrum “path loss” the higher one goes in the spectrum, that is not the case if directional antennas are used. He said the higher bands can be used for mobile communications, Wi-Fi, and backhaul. “Science fiction will become reality,” Mr. Rappaport added. In comments on the item today, Commissioners Mike O’Rielly and Jessica Rosenworcel disagreed on whether the FCC prioritize in the future licensing spectrum above 95 GHz. “Count me all in for efforts to provide spectrum to the wireless community to create the new, innovative technologies and applications of the future – even if they may be a few years away. I look forward to watching what America’s entrepreneurs, innovators, and scientists can do with frequencies above 95 GHz,” Mr. O’Rielly said. “These bands have their propagation challenges and, right now, we do not know what services they will support; but not too long ago people scoffed at the idea of commercial use in the millimeter waves. Therefore, I support allocating these frequencies for experimental and unlicensed use. Ms. Rosenworcel said that “[a]t the upper bounds, signals over these airwaves may not travel much further than from one end of this dais to the other before losing their strength. Moreover, there are no existing systems to protect in much of this spectrum. Plus, these high frequencies permit the use of newer antenna designs, like quasi-optical antennas, which allow transmitters to better control the direction of their signals. Add all this up, and the likelihood of interference is too low to justify a traditional approach with high administrative costs. “Opening previously unused bands of spectrum can spur unexpected innovation. In the most authentic sense, we step into the unknown today. While today’s action is bold, we also must act smartly,” said Commissioner Geoffrey Starks. “As we modernize our approach to these bands, we should also modernize our approach to a problem that will demand our attention: harmful interference. It’s happened before. As we have authorized new technologies or the use of new bands of spectrum, we have encountered unexpected interference, whether it is interference to wireless calls from consumer signal boosters or LED lights, unauthorized operations in the recently-authorized Citizens Band Radio Service (CBRS) band or interference to weather radar operations from unlicensed wireless broadband transmission systems. In each instance, unexpected interference issues required the Commission to investigate the situation and respond, whether with enforcement actions, policy changes, or both. “Thus, as we look to the future today, we should consider how we will address the interference issues that will inevitably arise. This comports well with a core mission of the Commission and one of my overall goals: to support rules that are clear and well-defined so that if any infractions occur, we can address it and hold any violators accountable,” Mr. Starks added. “To that end, I would like to highlight two important points: the Commission’s interference resolution capabilities and its spectrum management policies. 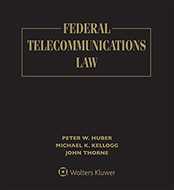 “First, the FCC has a critical role in detecting and resolving interference issues. Once the Commission authorizes service in a band, parties can and do reasonably expect that their operations in that band will be free from harmful interference in violation of our rules. Our talented staff in the Office of Engineering and Technology (OET) work hard to set technical standards to ensure just that. And, where needed, the Enforcement Bureau’s hard-working agents and attorneys investigate and take appropriate action. But the Commission’s staff cannot investigate without the necessary tools and training. Today we open up bands above 95 GHz, including terahertz bands ranging up to 3 THz. The plain fact of the matter, though, is that I have serious questions about the Enforcement Bureau’s tools to detect interference in these and other high-frequency bands. In fact, we are not currently capable of policing a significant amount of millimeter wave spectrum – the very high-frequency bands critical for 5G. I am concerned that without dedicated and sufficient resources to developing 21st Century enforcement tools against interference, our efforts to promote 5G will be undermined,” Mr. Starks stressed.